Sometime back Sumit Maitra wrote a nice article about what are CSRF attacks and how to prevent them in ASP.NET MVC. He demoed how a CSRF hack can be engineered and executed in details. 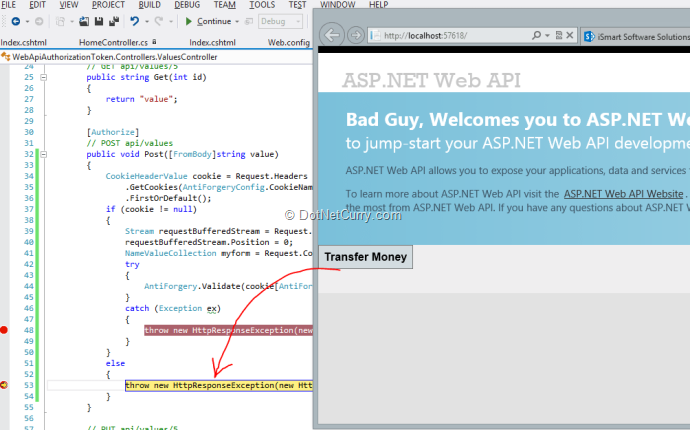 He also showed us how ASP.NET MVC provides the AntiRequestForgeryToken to prevent CSRF hacks. To quickly recap, a CSRF hack involves posting data to a valid URL that often requires authentication. The hack depends on the fact that an authentication token is available in the browsers cache and when the bad URL does a post, the browser uses the cached credentials. If we had a WebAPI backed web application, the same loop holes exist. 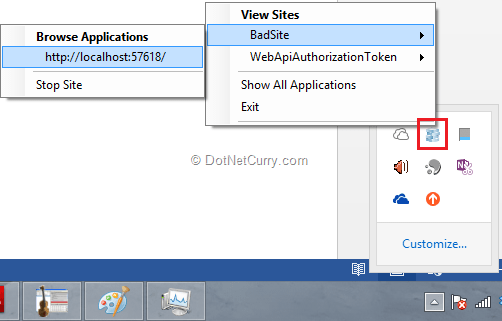 Fact is, WebAPI with Basic Authentication enabled, the hack gets a little easier to execute because Browsers caches Basic Auth tokens to prevent prompting for authentication for each resource they are getting. 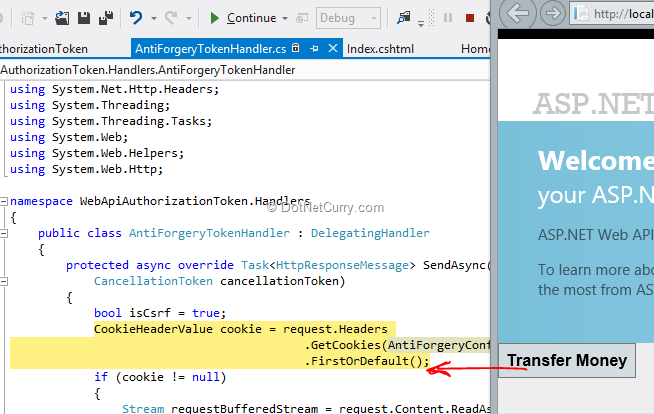 The solution is to have an AntiForgeryToken style implementation in Web API backed pages as well. So today we will see how we can piggy back on the MVC AntiForgeryToken implementation to thwart CSRF attacks. A simple example of Basic Authentication is Windows Authentication. Today, we’ll use a Windows Authentication enabled web site to explore Cross Site Request Forgery (CSRF) risks in Web API. To do so, first create a new Web API project in Visual Studio. Now all you have to do is use the Authorize keyword on either your Controller or Action Method to protect your API call. Correct? Well yeah, kind of! Traditionally we use WebAPI with AJAX calls but for sake of simplicity, let’s assume we’ll make a HTTP POST that will change some value at the server. We can imagine it to be something as sensitive as Money Transfer from one account to another. As we can see, the From will by default POST to the ‘api/Values’ controller. To make our POST method ‘secure’, we decorate it with the [Authorize] attribute. To test, we simply run the application and hit the “Transfer Money” button. We put a break point in the POST method to confirm that the form is posting correctly. Let us start IE Developer Tools for the Index page, go to the ‘Network’ Tab and ‘Start Capturing’. So as we can see, our Authorize attribute is doing the trick. 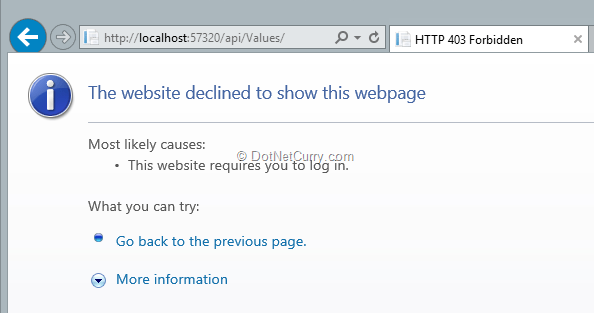 We are happy that our Web API is secure… umm… kind of! In the real world, the Form to post will be much more elaborate. Now let’s assume there is a “Bad Guy” who has mimicked this Form and has somehow figured out that the api/values URL handles a POST action. So now all he has to do it get you to click on a button that POSTs his data instead of yours. Even though your data is secured via Basic authentication, if you had recently logged in to the original Site, the browser will see that you are posting to a site who’s Authentication you already have and will naively send the Authentication cookie along with the Bad Request. Let’ see how this is done. Once the project is created we add the following in the Index.cshtml (again we’ll replace the suggestions section that comes by default). Now you have the scary scenario of both the sites looking exactly the same (except here the Bad Guy was nice enough to change the welcome banner). Click on Transfer Money from the Original Site at port number 57320. Then click on the Transfer Money from the Bad Guy’s site at 57618. In both cases you will see the breakpoint in the /api/Values Post action method is hit. YIKES! Our so called Secure and Authorized site has been hacked into by a Bad guy. Now let’s see what we can do to thwart the baddie. Adding an AntiForgeryToken generates a Cryptographically valid hash at the server end which is split and a part is added as a hidden field, whereas the rest goes into a cookie. When data is posted, the Cookie and the Hidden Field are both sent back and if they are missing or they don’t match, the POST is rejected. In MVC this happens automatically when you request for an AntiForgeryToken. 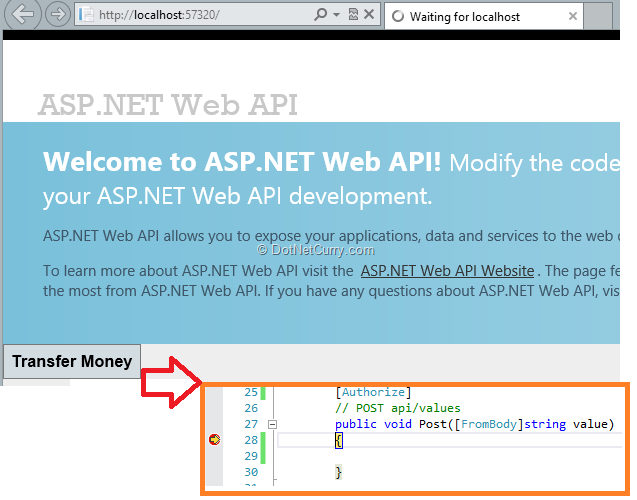 In Web API, we have to do this check manually. As I mentioned above, these tokens are cryptographically significant values and are essentially matching pairs. The AntiForgery.Validate(string 1, string2) helper method actually validates the pair at the server end once the data is posted. So even if our BadGuy was able to post his set of __RequestVerificationTokens, they would fail the Validation because they were generated for a different site. 3. Pickup the values for __RequestVerificationToken from both. Now if the BadSite posts data to our Web API Method, they’ll get zich! 3. Next we override the SendAsync method of the DelegatingHandler. 5. Now if we run the application and put a break point in the Handler, we will see that our application passes through the Handler and reaches the Post method, whereas the Bad Guy’s Post is returned back from the Delegation handler itself. 1. By depending on Cookies, you are assuming all your clients will be able to present Cookies. Remember Web API services are used to support different type of clients. 2. More importantly the Key/Value generated should be successfully validated by the AntiForgery library. 3. At one point above, we have read the Request’s Content stream and reset its Position to 0. This works when we are using the default ‘Buffered’ content type. However, if the defaults are changed to Streaming content type, then the Stream Position cannot be reset. As a result if you read the content here, no one else will be able to read it down the pipeline. There are multiple solutions to this, one of the is to not use the Content; instead copy the Field from the RequestBody into a header while doing an AJAX POST. Then instead of reading the content, we pick the values from the custom header and do the validation. The AJAX call would look something like this. The corresponding change to the Validate method would be. We saw how we can expose a Cross Site Resource Forgery vulnerability if we were not careful with our public web services specially when using Basic Authentication. 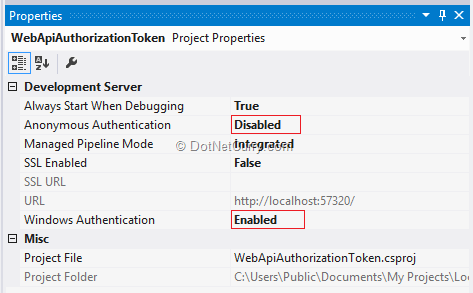 One way to plug the whole was to use ASP.NET MVC's AntiResourceForgery token mechanism and extend it to Web API via a delegating handler. Another solution of course would be use a more robust security mechanism like OAuth. I don't understand, why not just decorate the postback method with [ValidateAntiForgeryToken]? can we generate cookie token without using Razor tag?